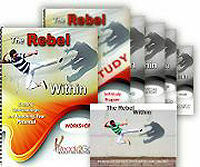 Teleseminar & Self-Study Coaching Program: The Rebel Within - Beating Self-Sabotage and Reaching Your Potential from Ready2Go Marketing Solutions, Inc.
“People aren’t going to like that. There are countless more things this inner voice says, so the question that needs to be asked then is: have you ever heard this inner voice saying these things to you? The answer for all of us is, yes! We all have an inner, self-sabotaging voice (some voices louder than others) that we must recognize, acknowledge and deal with if we want to Because otherwise this voice will do everything in its power to hold you back and prevent you from having a more fulfilling life. It will work hard to keep you from moving forward towards your deepest hopes and dreams. And you can be sure that the bigger your dream is, the louder this voice will be, telling you over and over that changing anything in your current life is just too risky, too dangerous, too stupid, too hopeless, too unattainable, or completely ill-advised. It will do its utmost to convince you that if you do try changing some aspect of your life, you will definitely end up getting hurt or meeting with failure. Preserving the status quo is what this inner voice wants, and it will stop at nothing to achieve this goal. This program will help your participants recognize the inner, self-sabotaging voice speaking in them, and give them the techniques they need to combat it. This inner voice will never completely leave them, but they can neutralize it so they can get on with the job of reaching and living out their biggest and brightest future! Define the qualities and purpose of their inner, self-sabotaging voice. Recognize the four main tactics their inner, self-sabotaging voice will use to keep them stuck in their current life situation. Become more aware of how to counteract the effects of their inner, self-sabotaging voice so that they are less impacted by its influence and freer to move forward in their life. Activity Objective: Participants reflect on how true they have been to honoring their dreams. 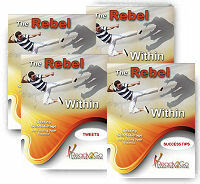 Activity Objective: Participants define characteristics of their Rebel Within. Activity Objective: Participants recall a designated number of facts given around key self-sabotaging tactics. Activity Objective: Participants reflect on the statement "I am..," realizing the ways that their inner, self-sabotaging voice has defined them. Activity Objective: Participants reflect on key learning points they can use to counterattack their inner, self-sabotaging voices. 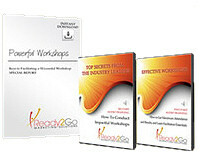 Activity Objective: Participants commit to combating the status quo currently at work in their lives.